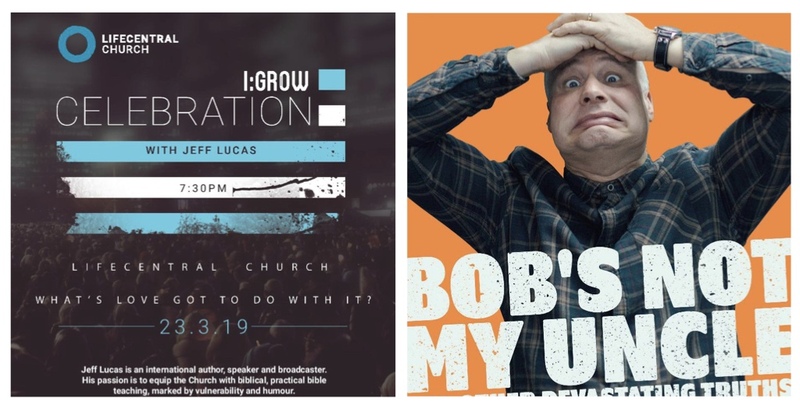 Life Central Church, Halesowen, would like to invite you to join with us for 2 amazing events being held at Lifecentral Church Halesowen in February and March this year. 1. Jeff Lucas will be speaking to Leaders at a breakfast on Saturday 23rd March. Jeff will also be leading a celebration event on the Saturday evening which is free to attend. 2. Mark Ritchie’s comedy night on Sunday 24th February, 7.45pm at Lifecentral Church Halesowen. Tickets are free. Please call the church office if you have any questions on 0121 501 3542. The office is open between 9am to 5pm Monday to Friday.